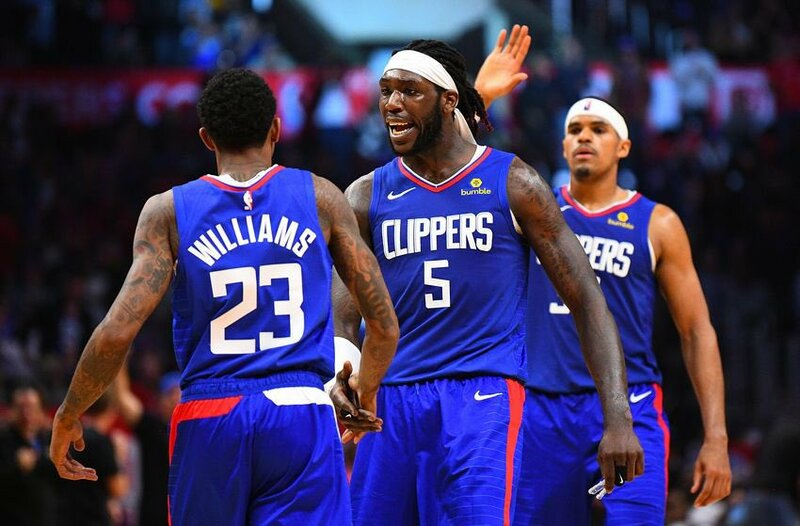 The expectations for the Los Angeles Clippers were not substantial entering the 2018-19 NBA season. When they traded away two of their best players in Tobias Harris and Avery Bradley, the expectations became even less. Then they ended up surprising the world by qualifying for the postseason. However, can they beat anyone now that they are there? If they do, they will end up making history twice, first as the team with the longest odds to win a first-round series, 100-1 (via the SuperBook at Westgate Las Vegas), in 30 years. Then they’ll do it again by becoming the team that beats the longest odds. Who are they playing? Just the defending champions and the most star-packed roster in the NBA, the Golden State Warriors. Prior to this season, the longest odds anyone had faced was 75-1. Those were the odds on the Milwaukee Bucks to take down the Miami Heat in 2013. Miami had the same odds back in 1992 against the Chicago Bulls. Both teams were swept by the eventual NBA champion (a trend that should make Golden State fans happy). So—do the Clippers have a prayer? Theoretically, as crazy as it sounds, yes. The Warriors have the talent and the roster of all-stars, but the Clippers have been almost as productive on the court as Golden State. For the season, the Warriors averaged 117.7 points/game (second best in the league) while the Clippers averaged 115.1 (fifth best). But over the last month, the Clippers figured out how to step up their game on the offensive end averaging 119.3 points/game (third best). However, Golden State saw their production slip a little to 15.0 points a game (8th best). Of course, when it comes to beating the mighty Golden State Warriors, it is going to take a lot more than just offense. The Clippers are going to need to be able to slow down the Warriors offense—something easier said than done. Earlier this season, with Steph Curry not in the lineup, the Clippers did beat the Warriors in overtime (November 12, 2018). While they failed to hold the Warriors off in regulation, they did hold them to just ten points during the OT period. Otherwise, the Warriors scored 129, 112, and 131 on the Clippers this season. So, the answer to the question is—no, probably not. The Clippers will not be able to hold the offensive juggernaut that is the Golden State Warriors back. But the Clippers do have one thing going for them, youth. The Clippers start two rookies, Shai Gilgeous-Alexander and Landry Shamet, and center Ivica Zubac is only 22 years old and in his second year. They are old enough to know how good the competition is but young enough not to care and think they can be better. If you are a betting man, the 100-1 odds on the Clippers to upset the Warriors in the first round must be tempting. Who doesn’t like that kind of payout? The Clippers are a good enough team to get to the playoffs, and if they had started off playing someone else, they might have been able to record an upset. But against the Golden State Warriors? It just isn’t going to happen.